Looking for a hipster cafe with nice surrounding & cool interior? 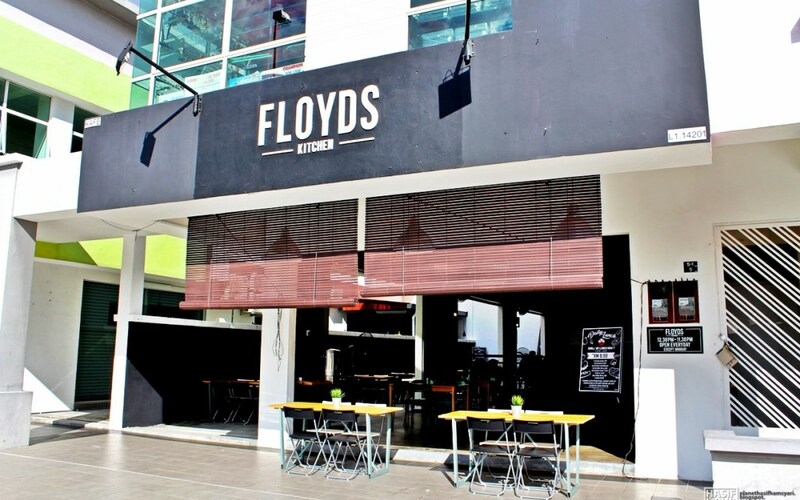 I bet you are going to love this one cafe (of course it is Floyd's Kitchen). I have been here 2nd time where I was thinking I should make a review on this because I think it is worth to share with you guys. But before that, disclaimer, of course. This is an honest review & not be paid by any individuals. All stuff written here is from myself & my experience. Before I bid goodbye to my colleagues, we managed to spend time again together after we went to Leezo Container, and this time there were only 3 of us because we are better together (if you know what I mean). I decided the place which is Floyd's Kitchen because I went here once with my family & I think it is a nice place for us to have our meal together. The place is so cool like, I mean, the environment is so cozy. Shall we talk about the food first because I mainly write this post for the food itself. When it comes to the test of food, it is quite hard for me to explain on how it really tastes. Because you know, people tastes differently based on their taste bud & interest but I will try my best to describe the food as much as I can. First impression towards the price, I am shook to the max. For me, it is quite pricey compared to other similar type of cafes I have been to. It is not that much difference, but I can see the difference around RM 3 - RM 5 which I think is an obvious gap. For a normal cafe placed at normal shoplot, this price is acceptable and reasonable, especially it is near to some attractions in Melaka. These are some of the menu, there are a lot more but I am not bothered to snap everything. As for the meal, each meal was given free drinks which is iced lemon tea and all I taste is just like a plain water with few drops of lemon? But I am thankful I was given free drinks so I saved there. This is the meal that was ordered by my friend. This is like chicken chop but is served with lemon sauce. Well, I got to taste this chicken lemon & for me, the lemon taste is nowhere. I don't really know where is the taste of the lemon, not even a single sour taste in this meal. But for the portion & side meals like corn & salads, they are all perfect. But for the price RM 16.90? It's just fine but if it is lesser, I think it's more worthing. As you can clearly see that the size of this Chicken Chop is too small. I mean, it is honestly not enough for anyone, including me. Ignore the presentation because to me it looks bad, but it comes with the sauce, salads & corn and mashed potato. Well the chicken chop is just good as it seems but the sauce is just not good enough. When it comes to western dishes, I would definitely go for Aglio Olio! This is the best dish I can ever think so far & to be frankly honest, this Aglio Olio tastes just okay. For me, the portion is definitely big & worth my money, but the taste is not. Even the plate is loaded with seafood, compared to Leezo Container (I reviewed before). Even the price is a bit higher than Leezo's, the portion worth it all, but the taste? MEH. This 2pcs cheesy chicken is worth my money. I mean, the friend chicken is crispy, but again, sorry, the presentation is bad. The fries is just a plain fries, thank God there's cheesy sauce so it saves the taste of the fries. But, yeah. Look at the cheese sauce. IT IS TOO SMALL, it is honestly not enough. But for RM 9.90? Worth it. Not going to over-hype this but I think this meal worth your money compared to any other meals. So, overall, I would rate the dishes I have tried 6/10. If you insist to go here, I would let you do so. If you insist not to go, I won't say anything but it is worth to try and experience it yourself, right? Or maybe we all just have different taste buds so, try to have this if you think it is worth to try!